Congress gave final approval Wednesday to legislation that authorizes the Pentagon to spend nearly $160 billion on the wars in Iraq and Afghanistan this budget year without major restrictions on the conduct of operations. The bill passed the House and Senate on voice votes after Democrats agreed to strip several provisions, including one that would have allowed gays to serve openly in the military. "The controversial aspects of this legislation have been removed," said Sen. John McCain of Arizona, the top Republican on the Armed Services Committee. The provision that would have overturned the military's "don't ask, don't tell" policy was approved as a standalone bill and President Barack Obama signed it into law on Wednesday. The House, which approved the bill last Friday, had to consider it again as the Senate cut out a provision on payments to World War II claims to residents and survivors in Guam. The Democratic delegate from Guam, Madeleine Bordallo, said the Senate eliminated the payments because some senators objected to the cost. She said elimination of the money could adversely affect U.S. plans for a military buildup on the island. Congress considers the defense authorization bill to be its primary chance to sway Pentagon policy. While it does not transfer money into Defense Department coffers, it does serve as a blueprint for the defense appropriations bill by authorizing spending levels. 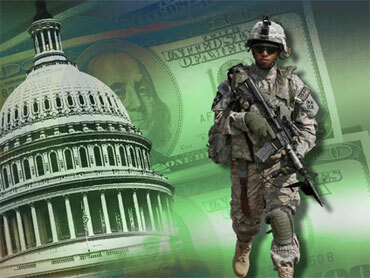 This year's bill agreed to $725 billion in defense programs, including $158.7 billion for overseas combat. Among its numerous provisions is a 1.4 percent pay raise for troops and a guarantee that children of service members can stay covered under the military's TRICARE health care program until they are 26 years of age. The bill also would continue restrictions on the Defense Department's ability to close Guantanamo Bay, including prohibiting the transfer of detainees to the U.S. This year's bill is mostly noteworthy for its broad bipartisan support during wartime. On Thursday, a White House review of war progress in Afghanistan suggested that tough combat would continue for years and that troop withdrawals in 2011 would probably be small. Unlike during the height of the Iraq War when anti-war Democrats tried to use the legislation to force troops home, the House passed the defense bill Friday with almost no debate on Afghanistan. $11.6 billion for the development of the Afghan security forces, and $1.5 billion for Iraqi security forces.